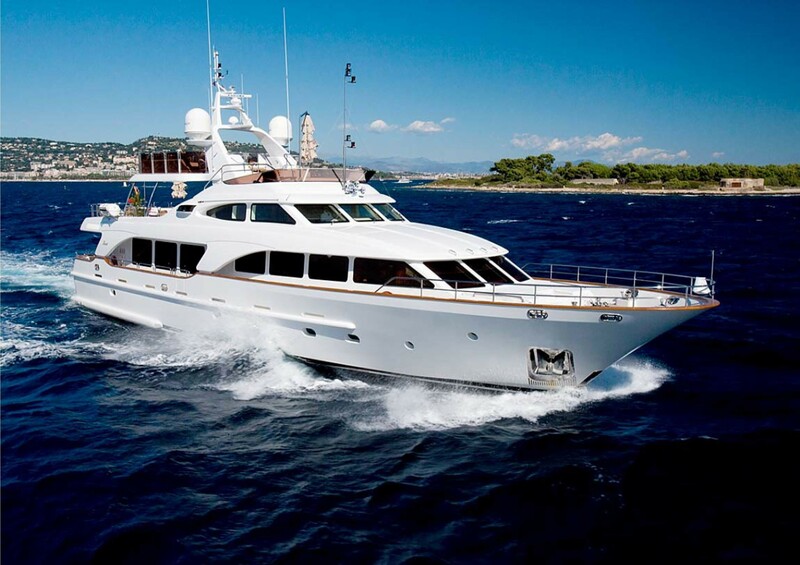 Motor Yacht JAZZ is a Benetti Tradition built in 2007. 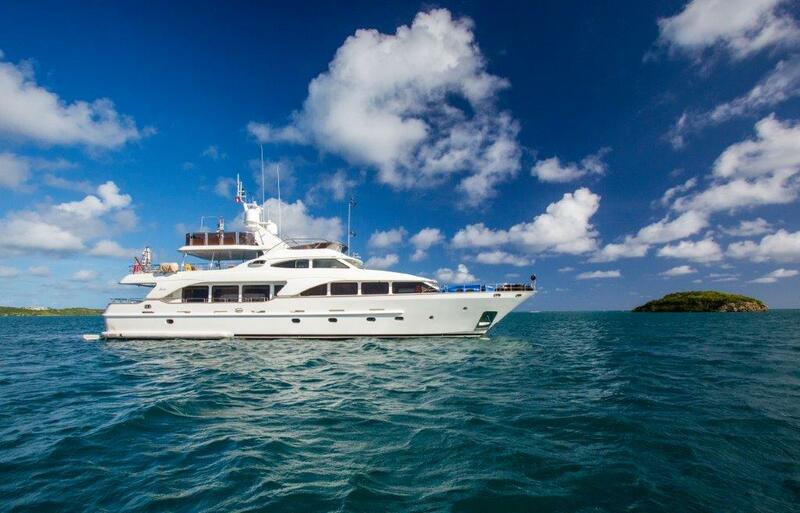 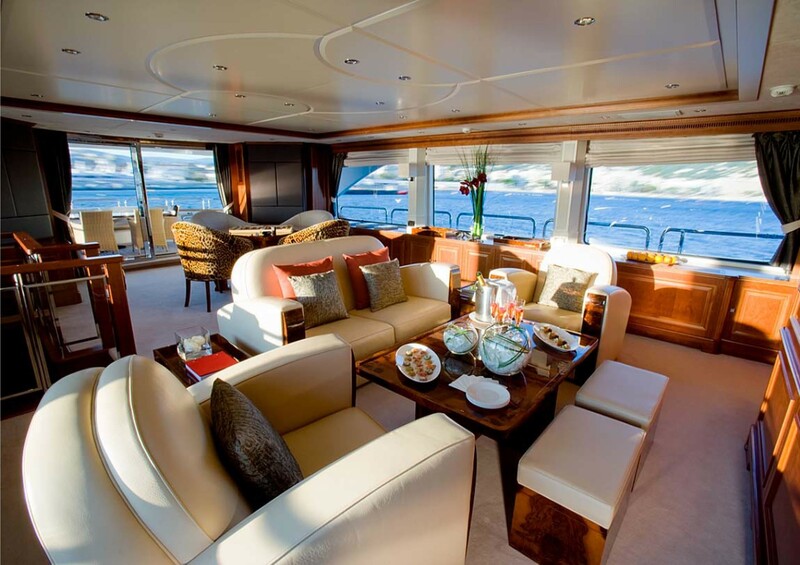 In true Benetti style, JAZZ is spacious and stylish offering 8 guests exceptional comfort. 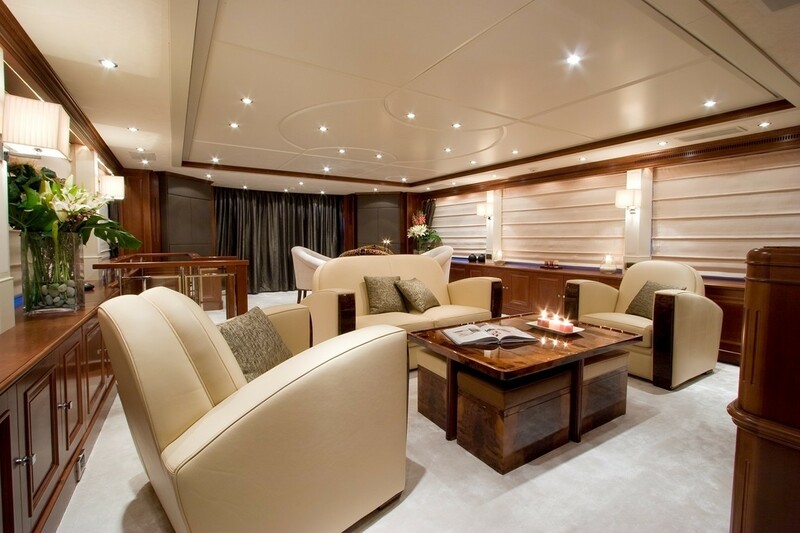 JAZZ has a clean, elegant and modern decor with neutral soft furnishings and plenty of natural light. 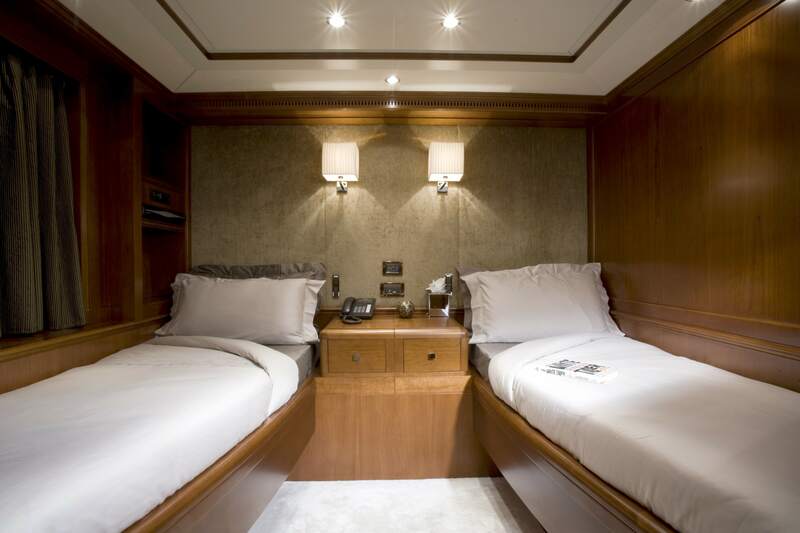 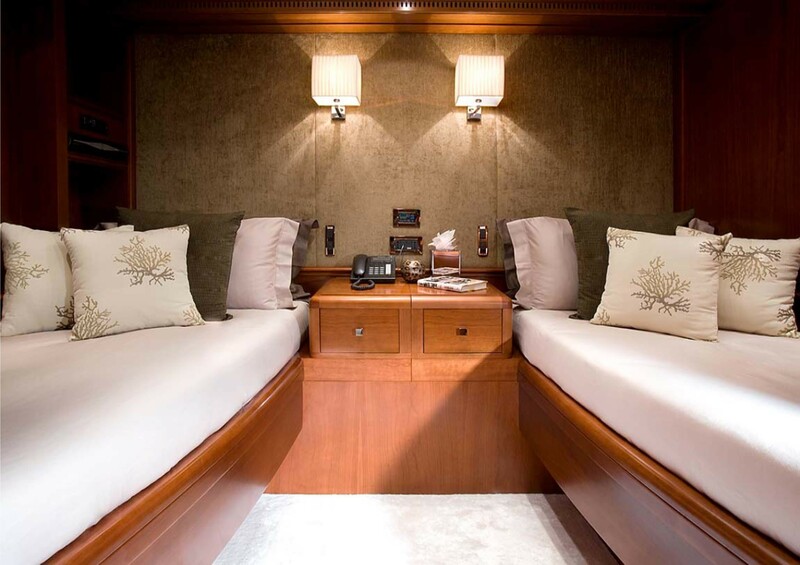 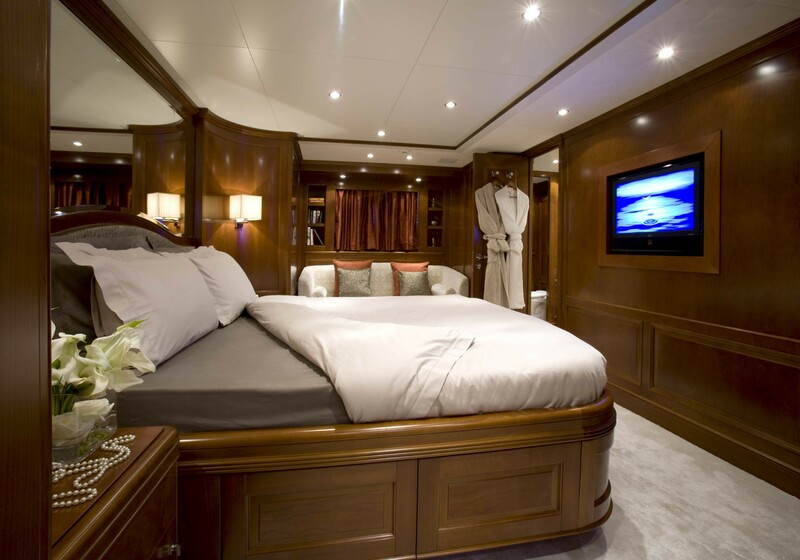 She offers spacious accommodation in 1 master suite, 1 VIP suite, 1 double cabin and 1 twin cabin. 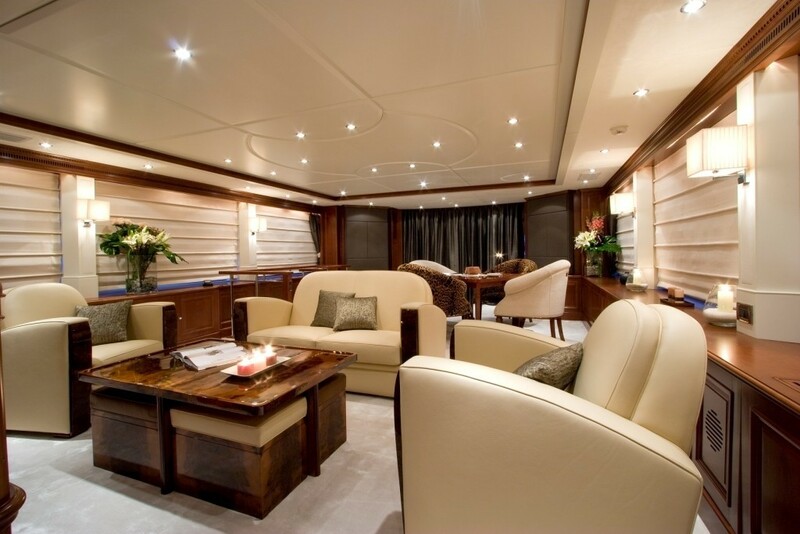 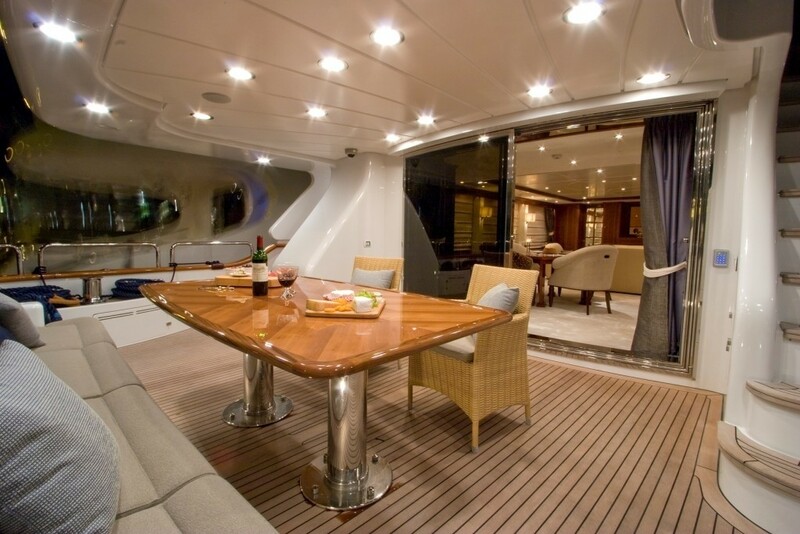 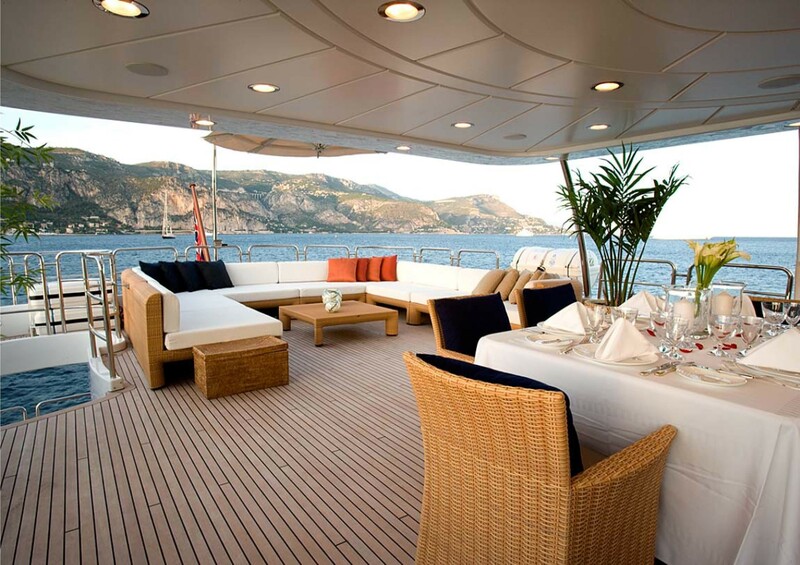 One of the best features of this Benetti Tradition is her spacious outdoor areas. 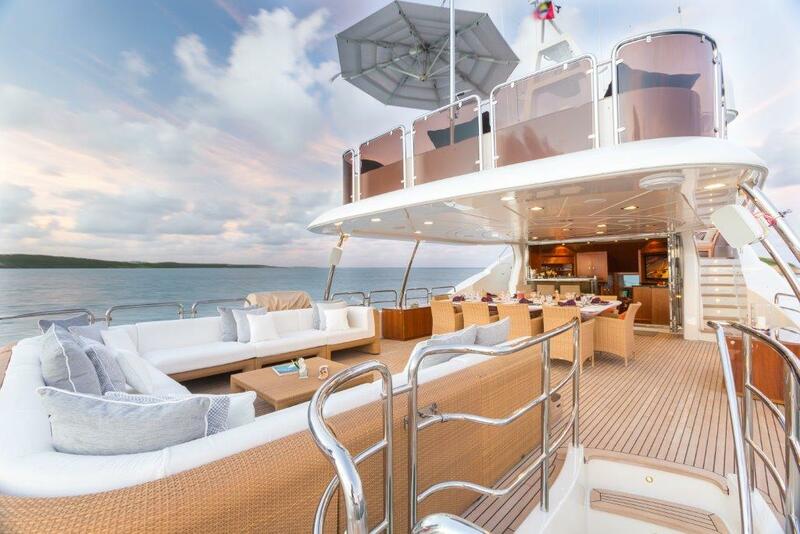 The Benetti motor yacht offers spacious alfresco dining on the main aft deck and a range of functional space for entertaining and relaxing on the upper deck. 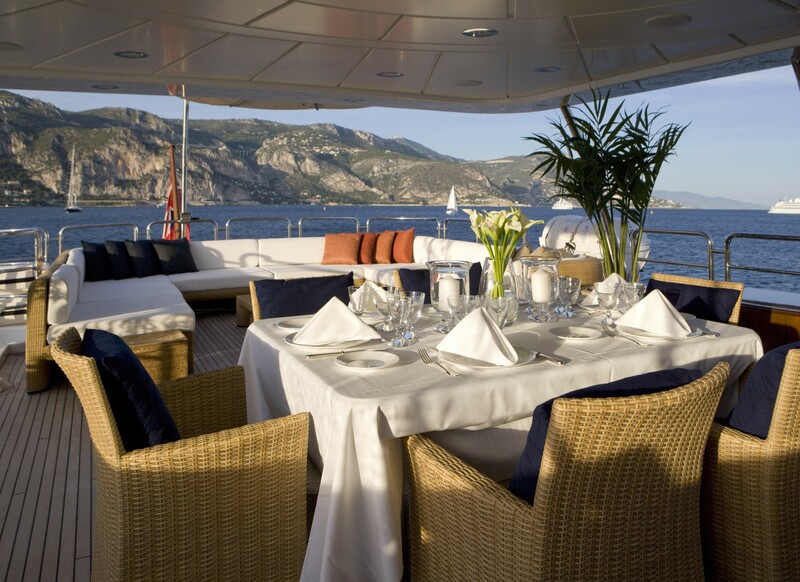 This is a wonderful area boasting an open bar, dining area and comfortable lounge seating area. 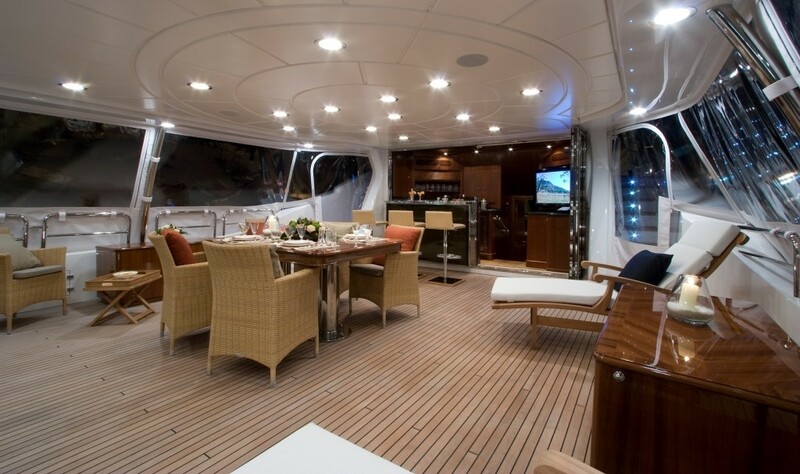 The upper deck has clear plastic blinds which can be used to protect this area in heavy weather conditions. 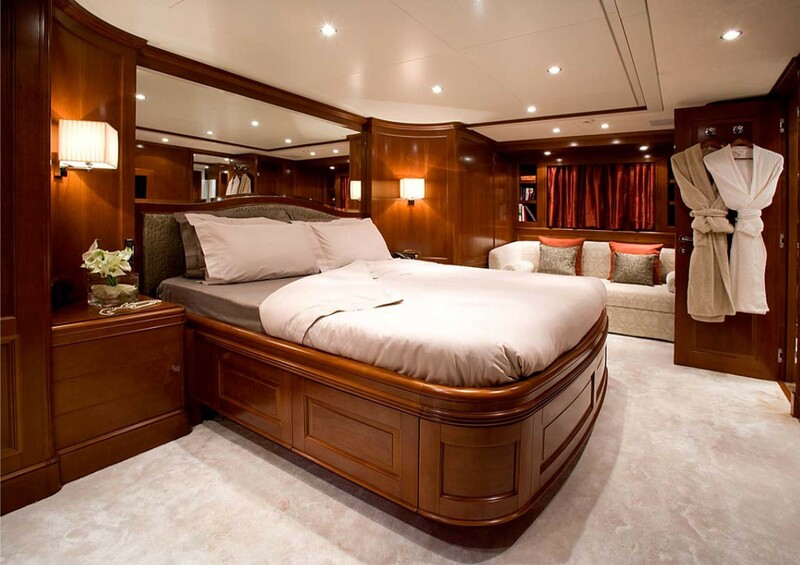 The additional bonus that Benetti Traditions offer is the extra top deck. 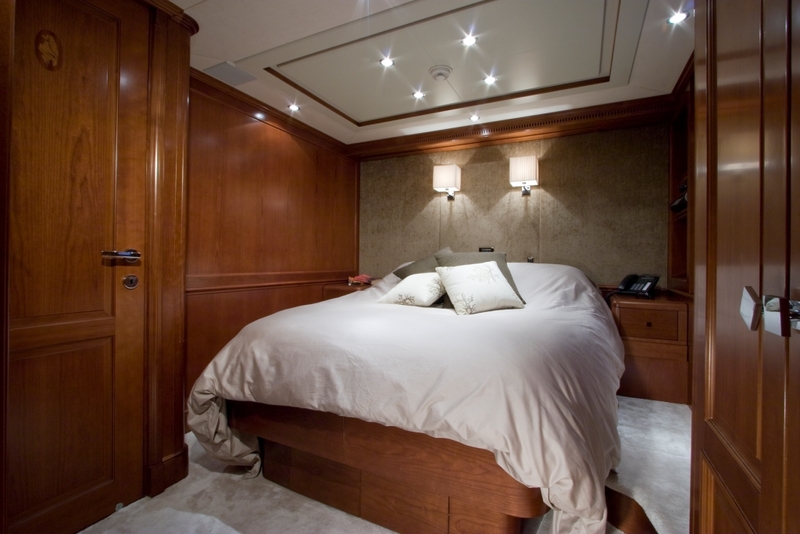 This is highly unusual on a yacht of this length and adds extra volume to this motor yacht. 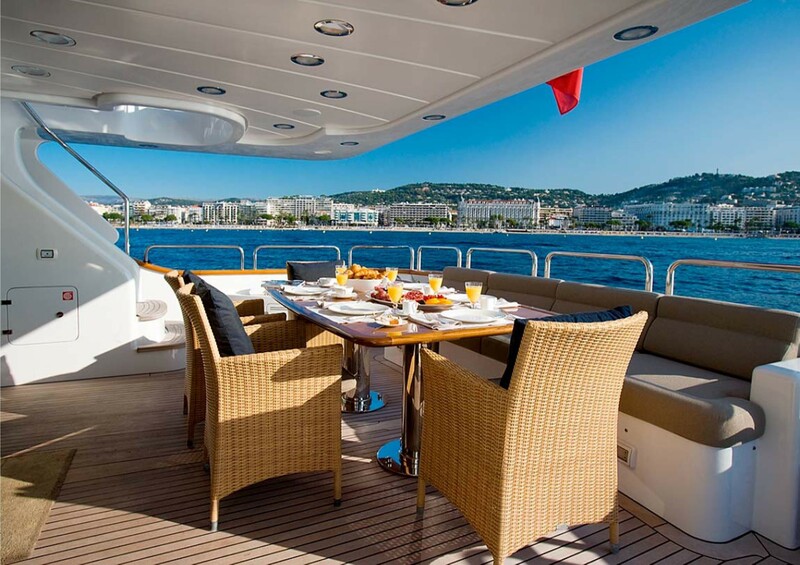 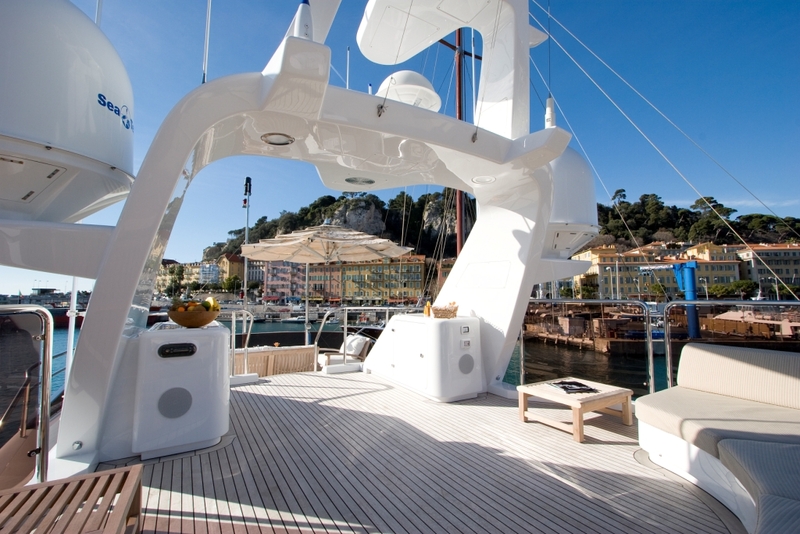 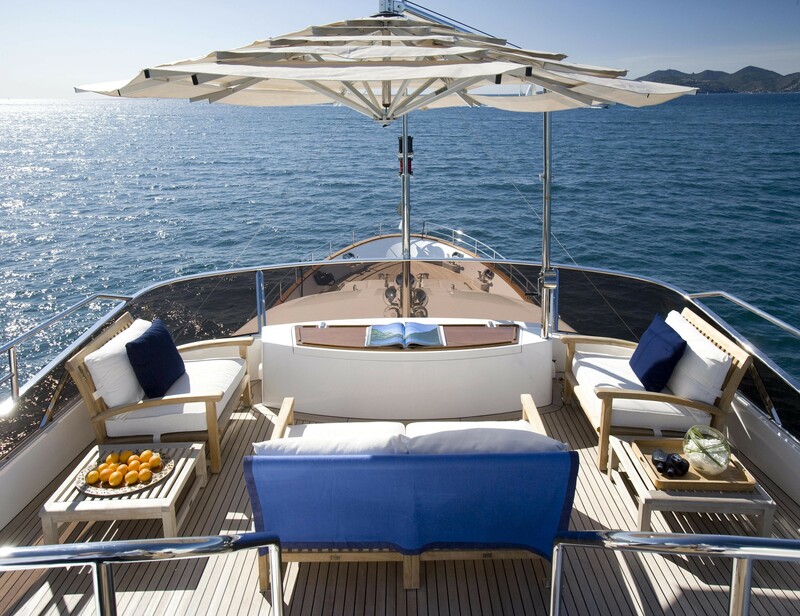 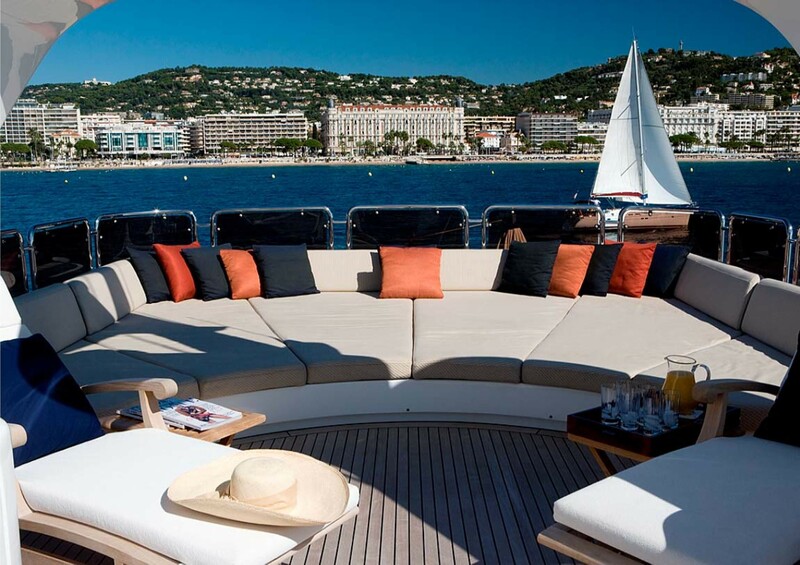 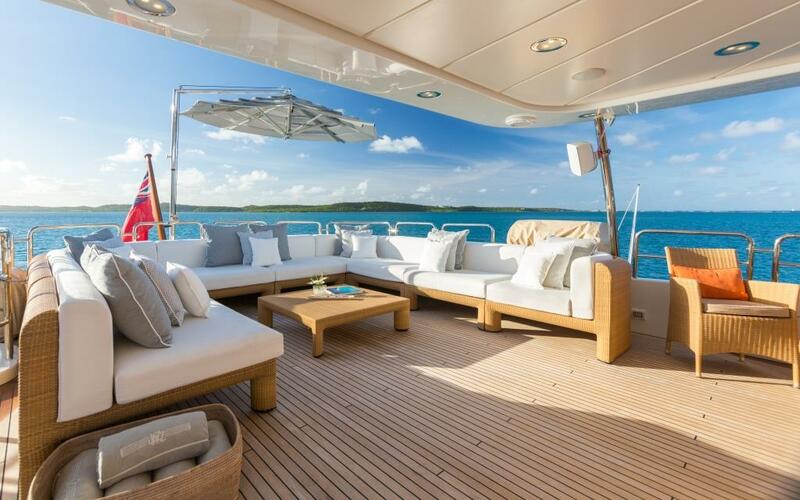 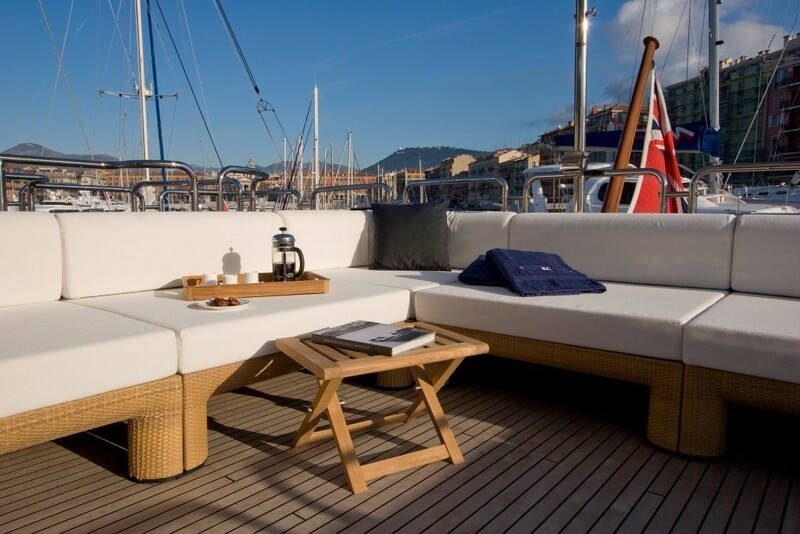 The top deck is furnished with large sun padded area, ideal for guests to soak up the Mediterranean sun in privacy. 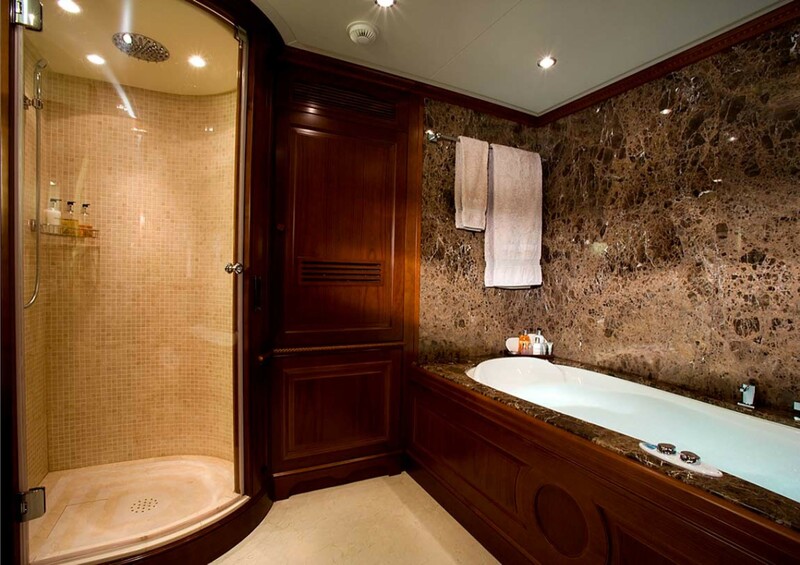 JAZZ comes with a range of entertainments facilities including state of the art audio visual equipment and a range of toys. 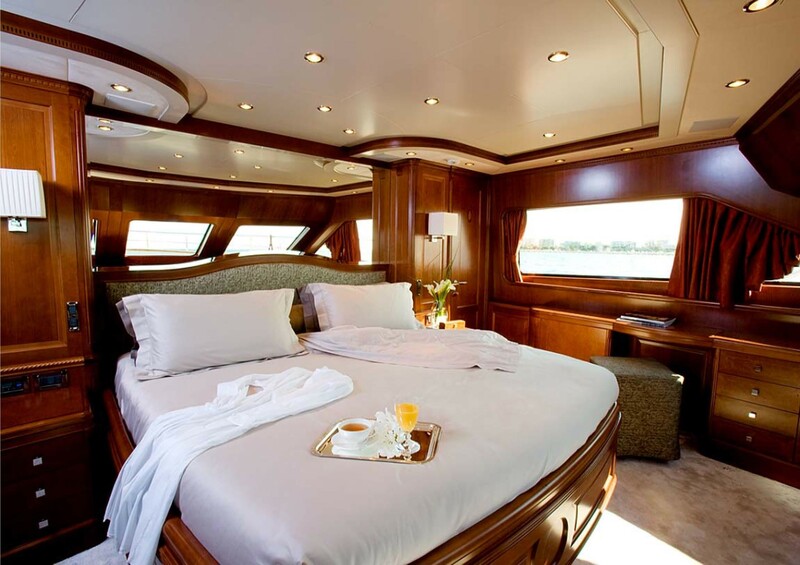 She also offers an option of a 10m chase boat with a dedicated skipper at an extra charge of EUR 1500 per day. 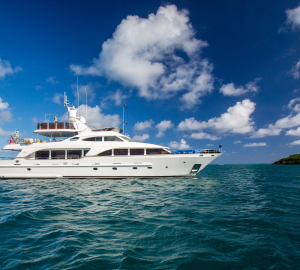 Luxury Motor Yacht JAZZ is equipped with a range of facilities including the following Tenders & Toys: 4m Tender with 50hp Yamaha, a chase boat of 10 meters is also available as an extra for EUR 1500 per day and this comes with her own skipper. 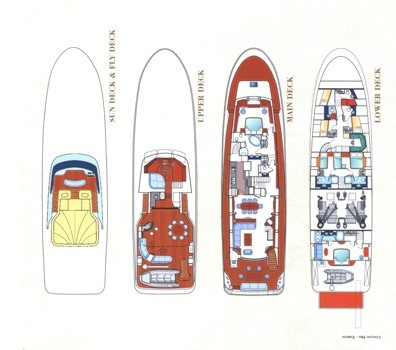 Communications onboard include: GPS VIA PABX, VHF (DSC), SSB, INMARSAT C, WiFi on board - limited access. 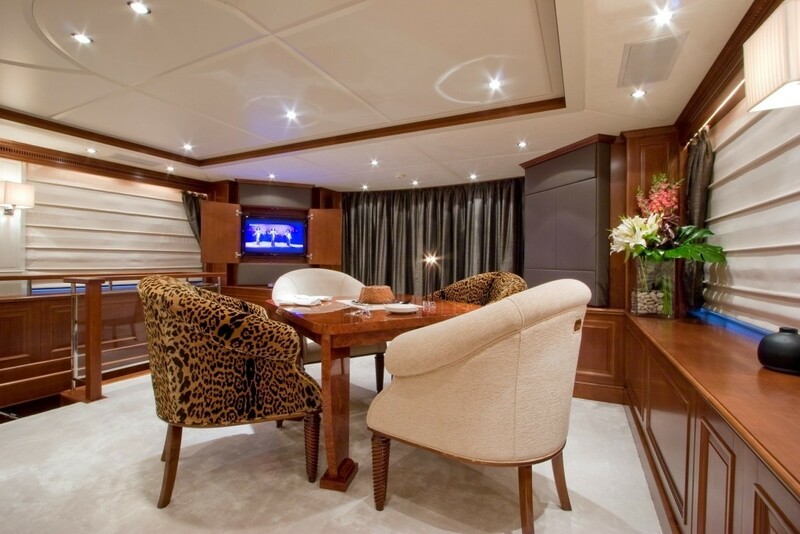 Audio Visual Equipment includes: Hi/Fi Home Cinema entertainment system with sky TV - Ipod docking stations; Saloon: Plasma screen, DVD/CD player, turner and amplifier Linn, Linn surround sound speaker and subwoofer, Satellite decoder Sky HD, Philips Pronto universal remote control. 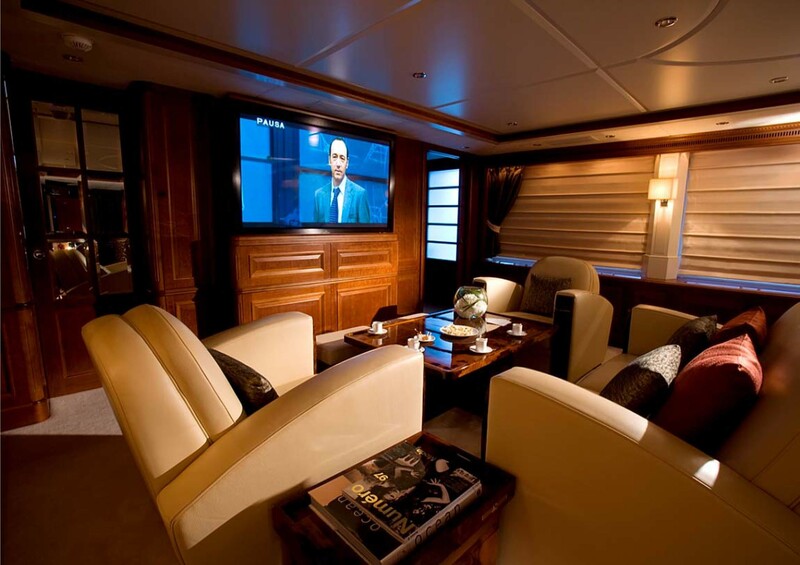 Upper deck: Plasma screen, DVD/CD player, turner and amplifier Linn, Linn surround sound speakers and subwoofer, Satellite decoder Sky HD, Universal remote control Creston. 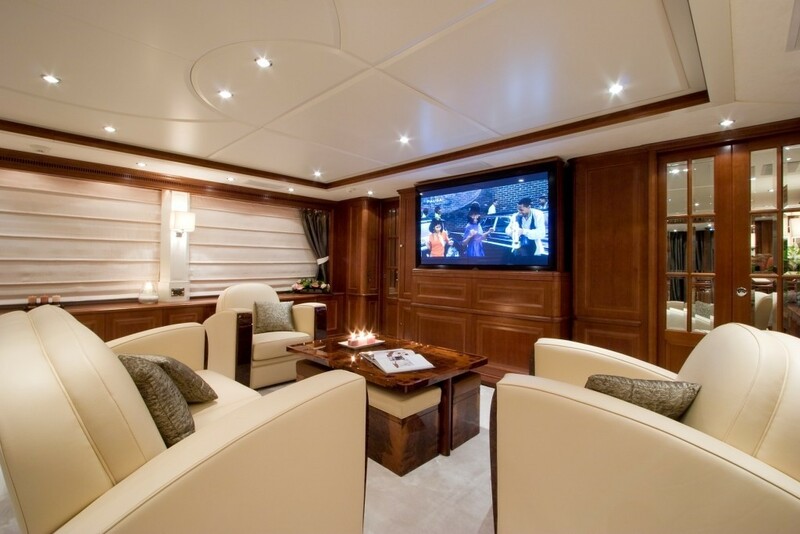 Master Cabin: Plasma screen, DVD/CD player, turner and amplifier Linn, Linn surround sound speaker and subwoofer, Satellite decoder Sky HD, Philips Pronto universal remote control. 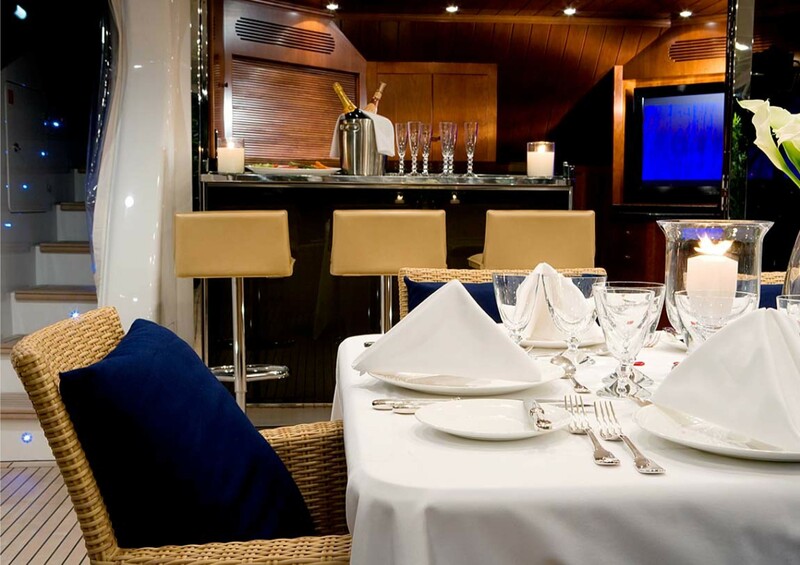 VIP Cabin: LCD screen, DVD/CD player, turner and amplifier Linn, Linn surround sound speakers, Satellite decoder Sky HD, Philips Pronto universal remote control. 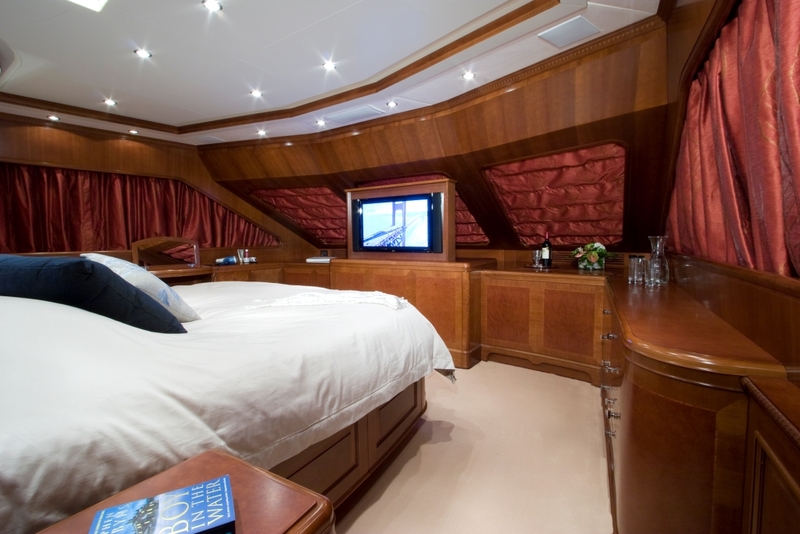 Guest cabins: LCD screen, Samsung, DVD/CD player, turner and amplifier Alpine, Linn surround sound speakers, Satellite decoder Sky.